Ali is a rising senior at Syracuse University, where she was the copy chief of the student newspaper, The Daily Orange. Last summer, she interned at Prose Media, a content creation service. She is currently an intern at Quantumrun, writing stories on technology, health, science and culture. 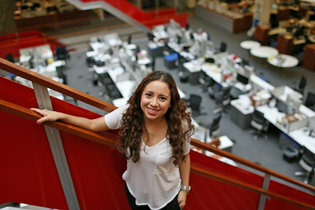 She is a member of the National Association of Hispanic Journalists.